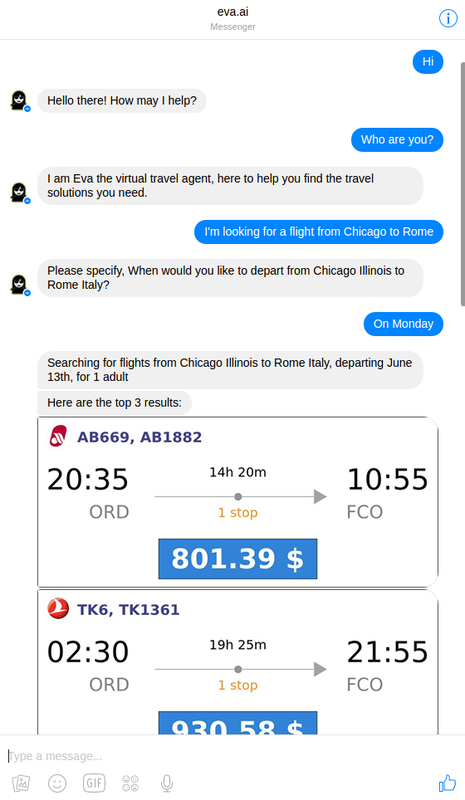 The Eva BotKit enables building a single AI assisted Bot for providing applicative Travel functionality across all messaging platforms with a bot platform API. 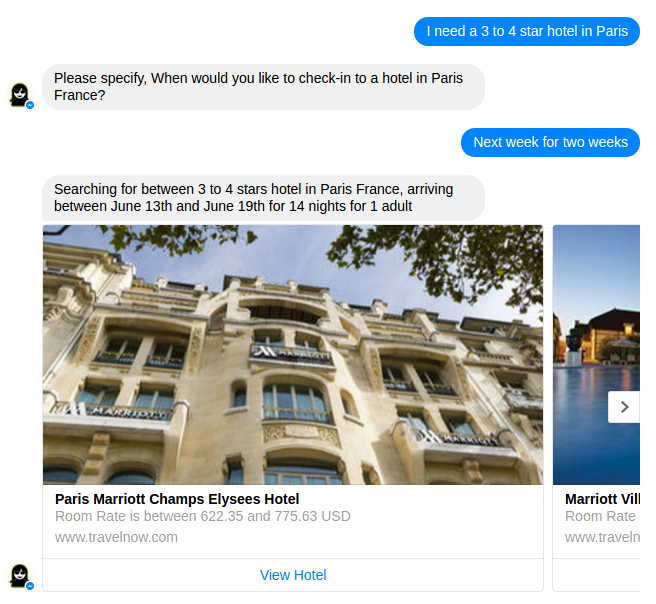 BotKit bundles Eva’s Natural Language Understanding and nonlinear Dialog Management features with robust cloud based spelling correction. Furthermore, the Eva API reply is automatically parsed and dialog is handled by Eva. The backend application is only called upon to implement applicative directives, such as ShowBoardingPass or PerformFlightSearch. Applicative integration is done via fully customizable webhooks. Eva automatically reformats your applicative webhook replies to comply with all quirks of the different messaging platforms so you don’t have to integrate separately with each one. 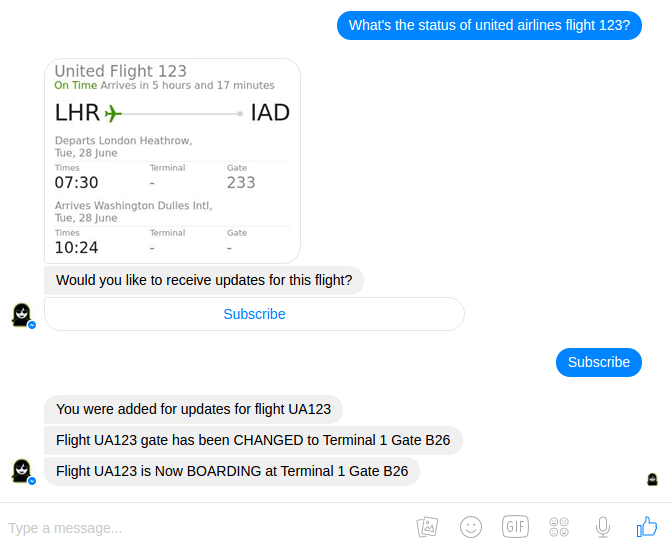 It takes 5 minutes to get your new Bot to answer Hellos on Facebook Messenger, Telegram LINE or Kik! Eva defines many webhook functions for applicative requests that may be queried by the end users. This is usually existing functionality in your backend servers that the developer needs to “wire” to the corresponding webhook post. You can simply ignore the applicative webhooks that are non-applicable to your backend. Eva will automatically reply to end users explicitly requesting these services with a “not supported” message. 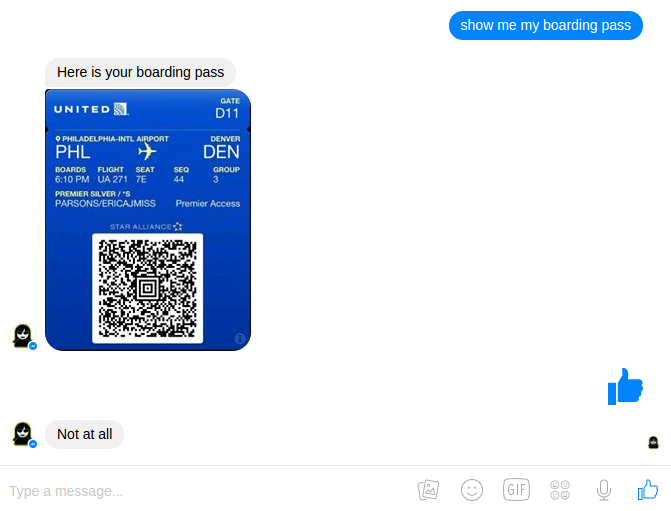 To get started, log in to https://chat.evature.com/botkit using your Eva credentials.